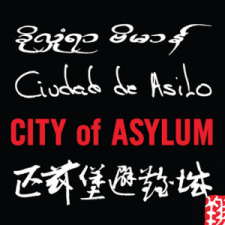 On June 18, 2015, Willie Perdomo came to City of Asylum to participate in the fifth annual reading by Cave Canem poets. Cave Canem, an African American poetry organization, was founded by Toi Dericotte and Cornelius Eady in 1996. Willie Perdomo is the author of The Essential Hits of Shorty Bon Bon, a finalist for the National Book Critics Circle Award in Poetry, and Smoking Lovely, winner of the PEN Beyond Margins Award, as well as Where a Nickel Costs a Dime, a finalist for the Poetry Society of America Norma Farber First Book Award. He has been the recipient of the Woolrich Fellowship in Creative Writing at Columbia University and a two-time fellowship with the New York Foundation for the Arts. Willie Perdomo read with Amber Flora Thomas and Cornelius Eady in the Alphabet City Tent on Sampsonia Way. Before the reading, Willie talked to Sampsonia Way about the influence of landscape on his work, the sacred space of poetry, and the voices that call to him as a writer. 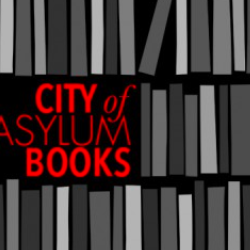 The Writer’s Block is an ongoing video series of interviews with visiting writers at City of Asylum/Pittsburgh. In these Q&A’s, conducted on Sampsonia Way, writers sit down with us to discuss literature, their craft, and career.